Transport: Complete Transportation between Jeddah-Makkah-Madinah-Jeddah. Visa: Umrah Visa processing is included in package price. Ramadan is the time of fasting, piousness, self-training as well as Umrah! Every year thousands of Muslims fly to the Holy Kaabah - the nucleus of Muslim Ummah to perform this. They circumnavigate around the House of Allah SWT and reaffirm fundamentals beliefs of Islam. That is why ILink tours brings the most fantastic Ramadan Umrah packages at an affordable and economical price so that everyone can avail this golden opportunity. This package is designed to meet the needs of every age group of Muslims who wish to perform Sunnah in Sacred Month of Ramadan. I Link tours is the most trusted Umrah provider organization that provides best services, low-cost hotel reservation, and cheap flight rates. Our experienced guides accompany the pilgrims on this expedition to guide them at every step. You just need to select Economy Ramadan Umrah and inform our customer service department, and we will send you the competitive solution plus visa requirements. So make this Ramadan 2019 an unforgettable family holiday. We choose the most lavish accommodation for our prestigious customers. Our package includes 7, 14 and 21 nights stay in a luxurious hotel situated within 1000 meters from Haram. Hotel rooms are comfortable with the facility of attached bathrooms, telephone, air-condition, food, and cleanliness. The departure of flight starts from 4th May and return on 4th June 2019. This schedule is subject to variation due to Moon sighting or flight schedule. We include Visa processing in the package price. Our transport service is offered between the route of Jeddah, Makkah, Madinah and back to Jeddah. Spend one Jummah in Makkah and the other in Madinah. 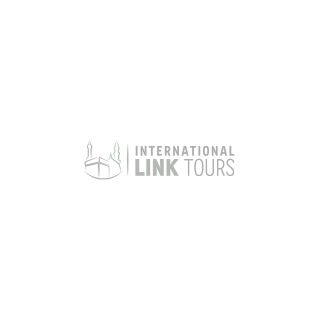 With I Link tours, you can perform tawaaf-e-widah. Our package includes a visit to significant places in Makkah and Madinah. Complimentary Ihram is provided to men while prayer rugs are gifted to women. With our meet and greet service, we welcome our valuable customers at the airport. I Link tours provide 24 hours staff assistance service during your Ramadan Umrah Trip. We arrange special training classes for the pilgrims to make them prepare for Umrah. According to one hadith of Prophet Muhammad PBUH, the reward of Umrah in Ramadan is equivalent to Hajj-e-Mabror. Therefore, plan your Umrah this Ramadan with I Link Tours because we have years of experience and devoted commitment. Earn the endless favors of Allah SWT by performing Umrah communally with your family and friends.